At the age of 19, Susan Weinreich was diagnosed with Paranoid Schizophrenia while attending the Rhode Island School of Design. For over three decades, Susan has used her art t o pull herself towards health. Today, Ms. Weinreich lectures annually about her art, life and recovery at The Columbia College of Physicians and Surgeons in NYC and at numerous venues across the United States, Canada and the Middle East. 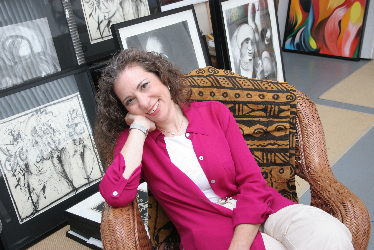 A full time practicing artist, Susan's drawings and paintings have been exhibited and collected internationally including the Eli Lilly Corporate Collection and the Clinton Presidential Library. Susan Weinreich lives in Mount Kisco, NY and maintains a studio in Peekskill, NY.